A wide range of connectivity is obviously important, but nobody likes ports and cables which clutter up the place – but the good news is that the likes of USB ports are decidedly on the wane as we look towards a future of wireless notebooks that dispense with physical connectors completely. That's the word from a new study conducted by ABI Research, which observed that USB-Type C and Thunderbolt 3.0 will be the last type of physical ports in existence because their successors will be wireless alternatives. What wireless alternatives? Namely WiGig (Wireless Gigabit, aka 802.11ad) which offers blazingly fast wireless speeds, and is already in use with some laptops and docking stations including hardware from Dell, Asus and Acer which will be shipping this year. ABI Research notes that momentum will then build going forward, and not just for laptops and PCs but mobile devices and the likes of displays. That said, the transition to WiGig is likely to be a slow and steady one, with notebooks keeping some ports (or perhaps just one port) to maintain compatibility with legacy hardware and for other reasons. Andrew Zignani, Industry Analyst at ABI, commented: "We anticipate there to be WiGig-enabled devices that use physical cables, such as the USB-Type C for charging or to assist in dealing with legacy equipment when not at home or when wireless connectivity is not available. 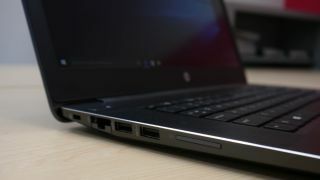 "It will take some time for WiGig-enabled displays, projectors, televisions, and accessories to come to market, so many devices will still need to have the option of a physical connection through USB-Type C and Thunderbolt 3.0 for the foreseeable future." So while we can't wave goodbye to physical ports just yet, the writing is clearly on the wall for where connectivity is headed.